Last Thursday we had the 5th annual Crum Creek Clean-up. 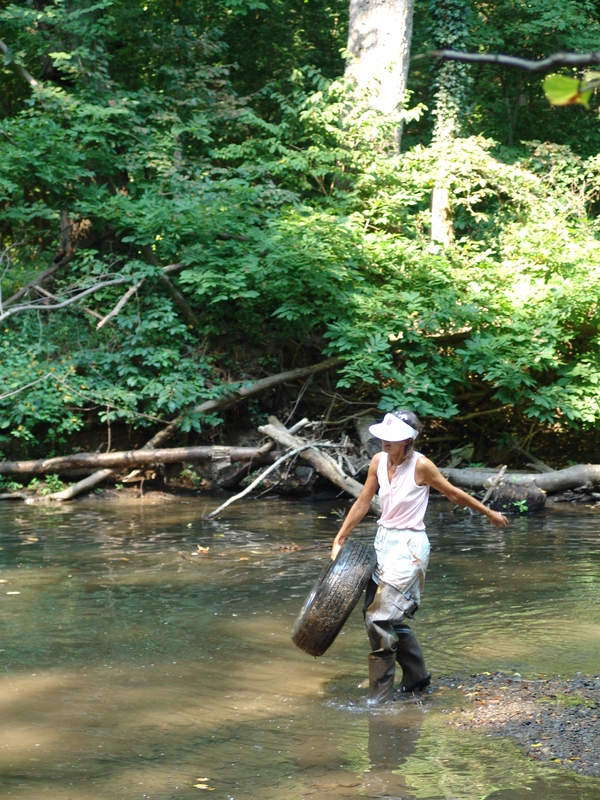 38 people helped clean-up the creek and surrounding areas. Tasks included: trash removal, trail maintenance, and invasive and weed removal. One group spent their time in and around the holly meadow pulling vines off of some of our native deciduous hollies (Ilex verticillata). They also removed several plants of purple loosestrife (Lythrum salicaria) that had established themselves in the holly meadow. They ended up with a whole dump truck full of weeds. 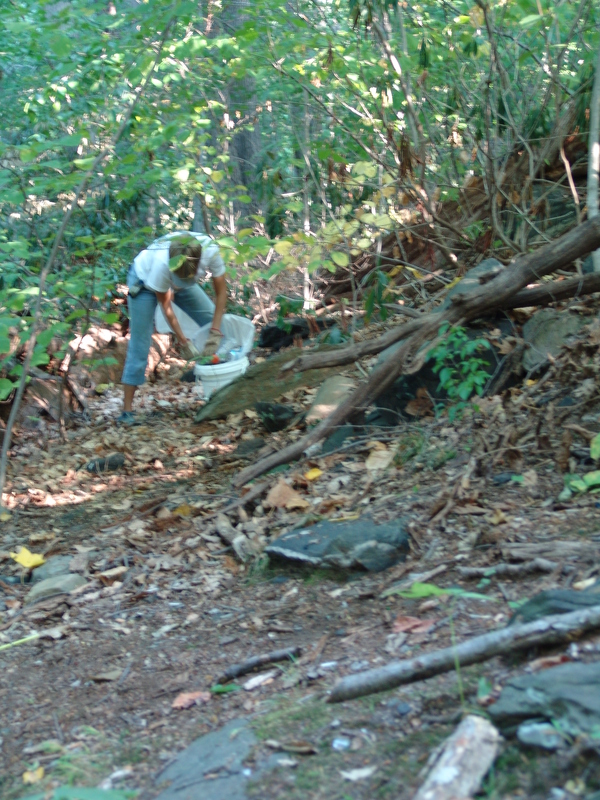 Three small groups set out in different directions throughout the trails of the Crum Woods to gather all sorts of trash. Another group performed trail maintenance including the hard work of installing 5 water bars. Water bars are timbers that are buried into the trail at an angle across the trail with a low trench above the bar. They are intended to intercept and slow water runoff coming down the trail by diverting it to the lower side of the trail. The group also cleaned out sediment and debris above many existing water bars along the trail to improve their function. 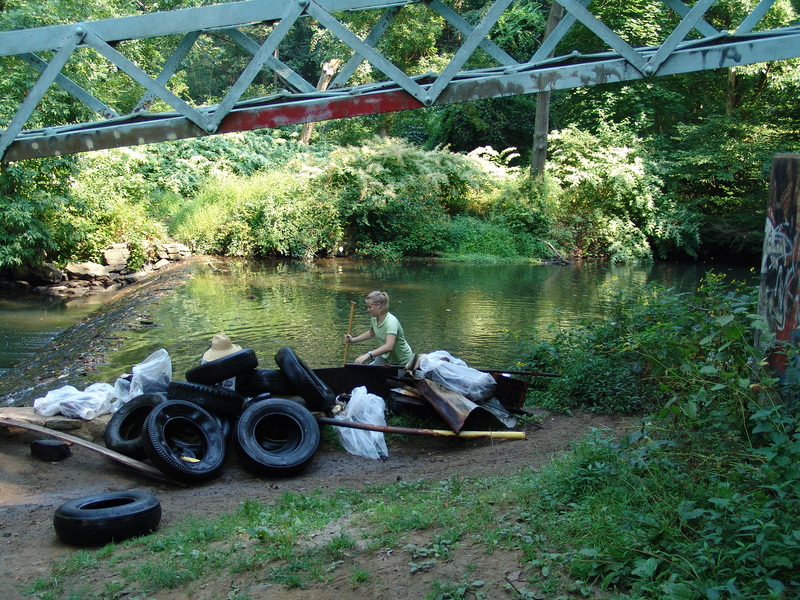 Yet another group had the task of removing trash from the Crum Creek itself. These folks were up to their chests in the stream digging out tires, lumber, plywood, bottles and many other things. They worked mostly upstream from the SEPTA trestle at the holly meadow using rowboat and canoe to haul trash out of the creek to the trucks. 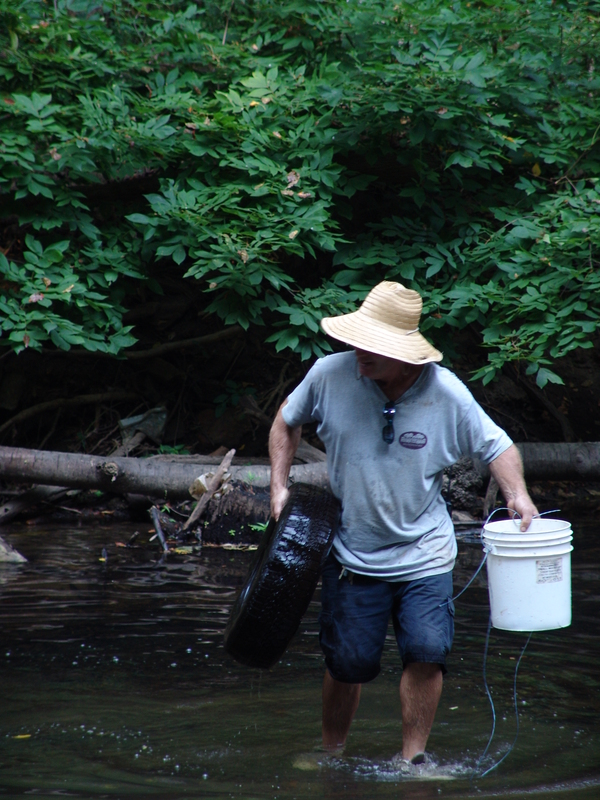 Because the water was so low and still, it was easier to see and remove some of the deeper trash that we couldn’t get during previous spring clean-up events. Thank you to all of the staff and volunteers who helped with another successful Crum Creek Clean-up.